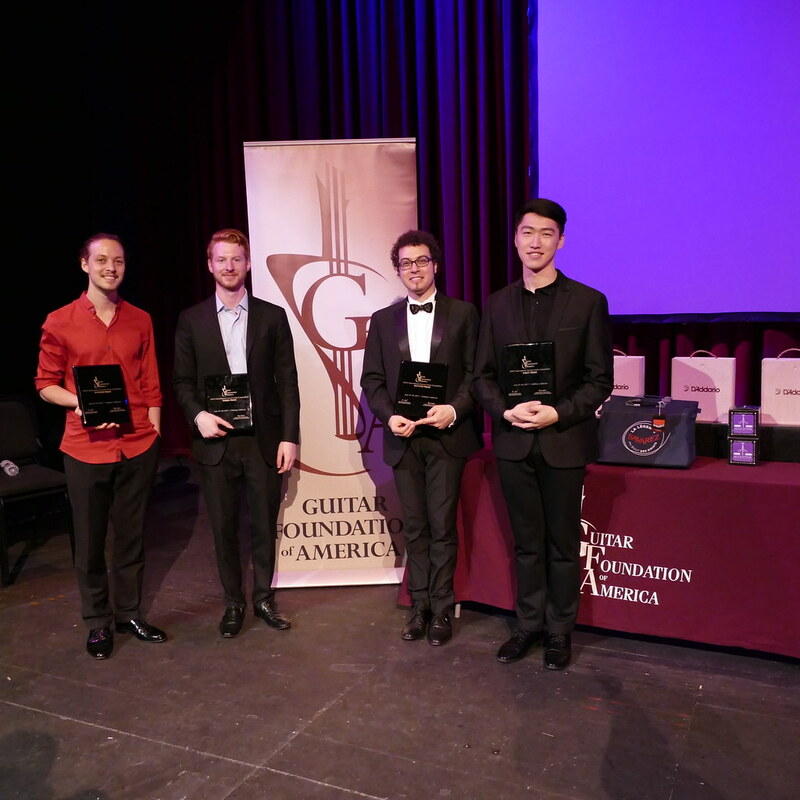 The results of the 2017 GFA International Concert Artist Competition have been announced. The 2017 GFA International Youth Competition Results have been announced. The sixth day of the 2017 GFA convention begins with the technique workshop by Robert Barto in the Little Theatre. He amazed the crowd with demonstrations on the vihuela. 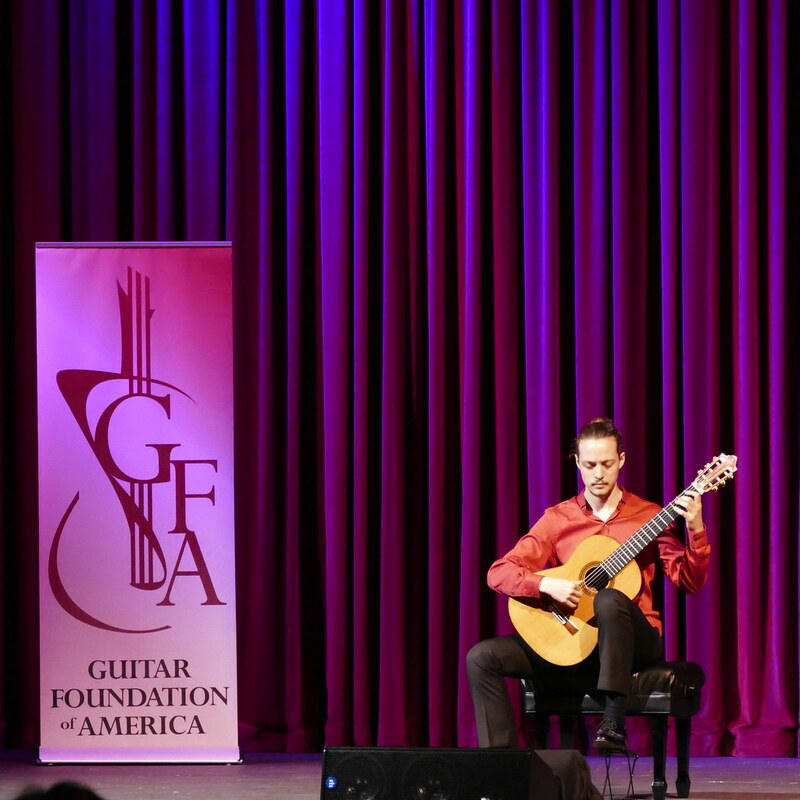 At the same time, there were two lectures with the topic of Music Memorization for the Classical Guitar and Howard Heitmeyer: Unsung Genius of the Classic Guitar given by Federico Musgrove Stetson and Rico Stover respectively. At around 10am, the junior division of the International Youth Competition (IYC) had its finals in Recital Hall. Meanwhile, Another lecture with the title Joaquín Turina: Spanish Nationalism and Guitar in the Early Twentieth Century was given by Leilani Dade. 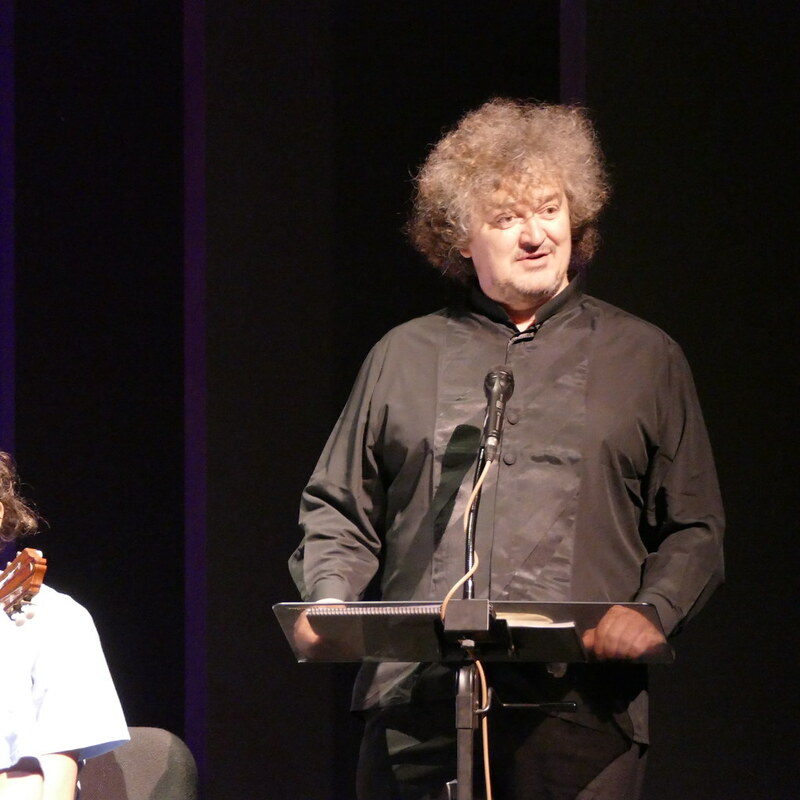 The Guitar Orchestra played a concert under the baton of Zoran Dukic at the Little Theatre followed by the International Ensemble Competition (IEC) Winners Concert. 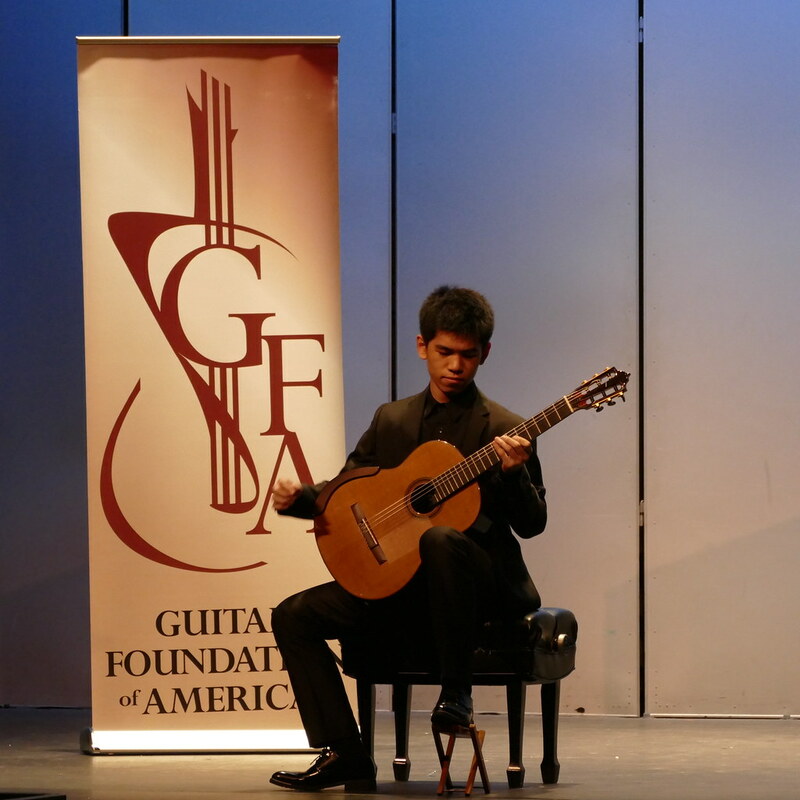 The senior division of the International Youth Competition (IYC) had its finals afterwards. The jurors were Otto Tolonen, Xavier Jara and Doug Rubio. In the afternoon, Jonathan Leathwood gave the last lecture in the 2017 convention about The Limits of Notation: Reading Bach’s Rhythms. Duo Siqueira Lima then played a concert in the Little Theatre with works written by Villa-Lobos, Debussy, Piazzolla, Fattoruso, Mariano and Dominguinhos in which all the music were arranged by Fernando Lima. 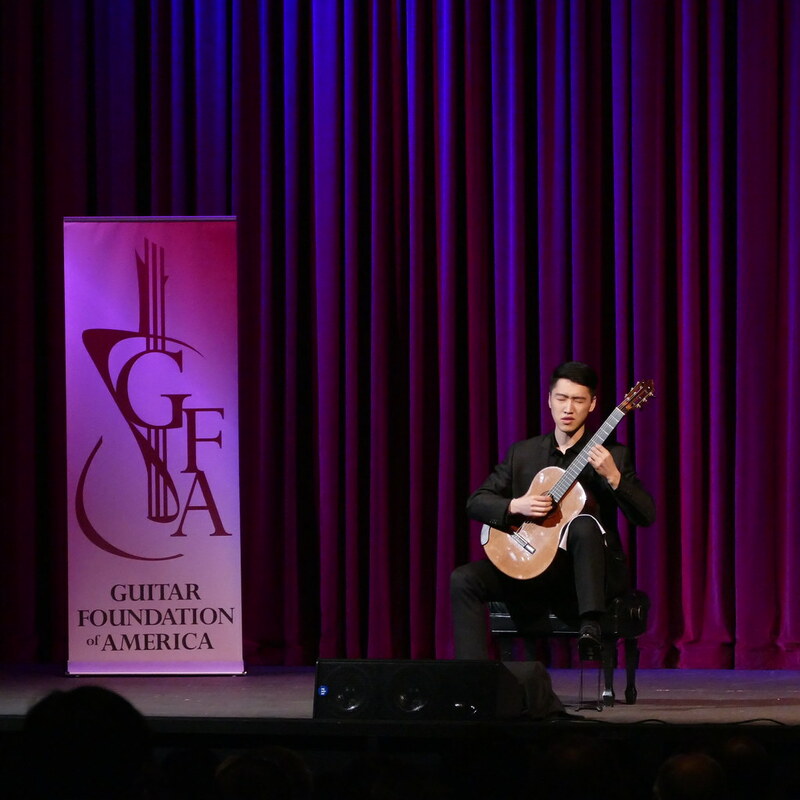 At 6:30pm, the International Concert Artist Competition (ICAC) Finals began. The Awards Ceremony started right after the finals. 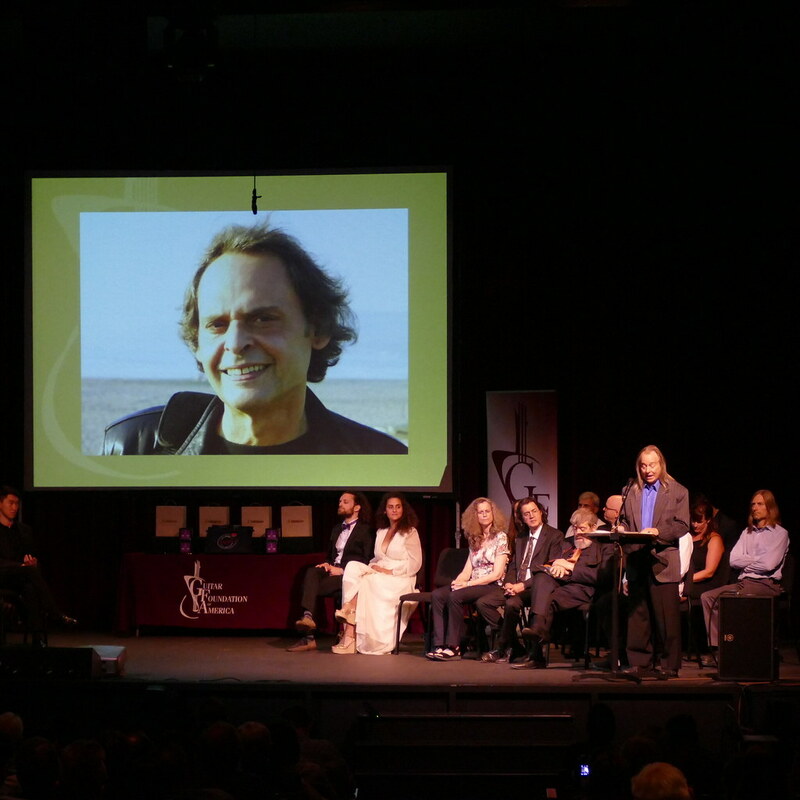 This year, the Board has voted to honor Alirio Diaz and Roland Diens with the Hall of Fame Artistic Achievement Award. 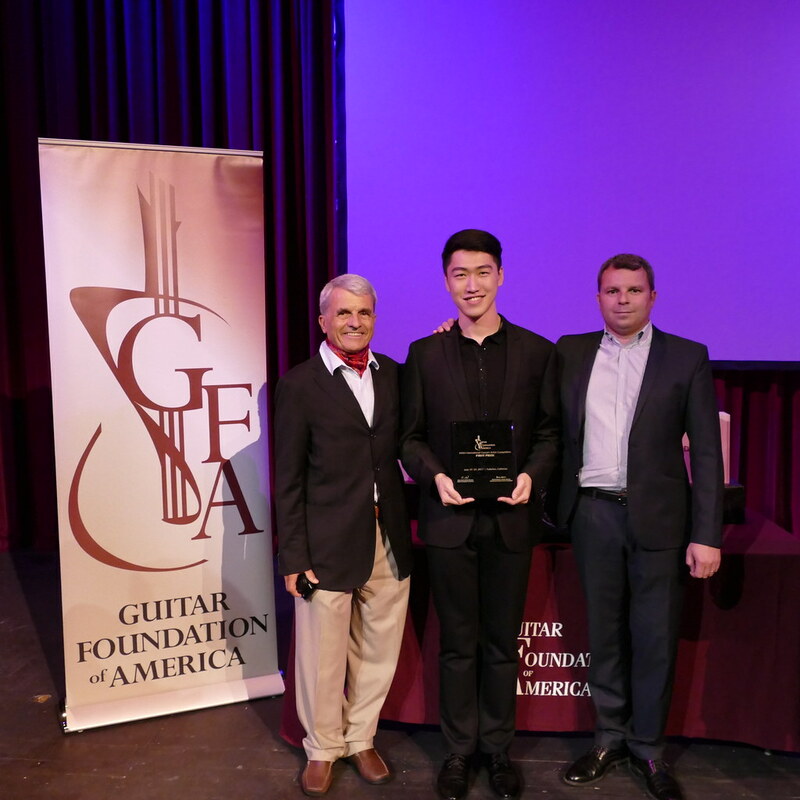 Their work and contributions to the guitar world are well-known to most GFA members. 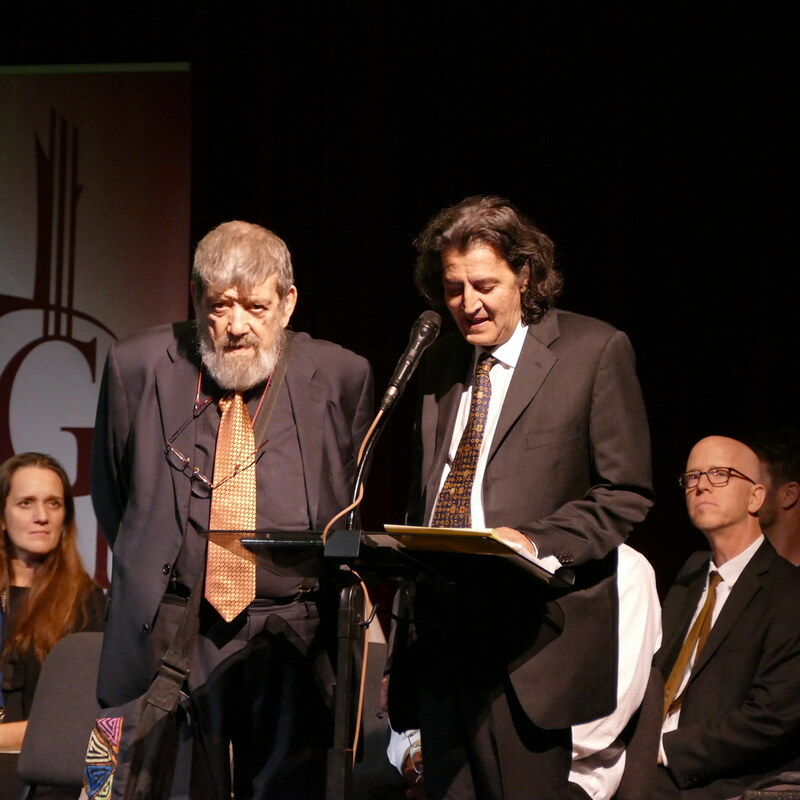 Both have made significant, long-standing contributions, and the world of guitar owes them a debt of gratitude. Sadly, both of these honorees passed away in 2016, so they will be given these honors posthumously. 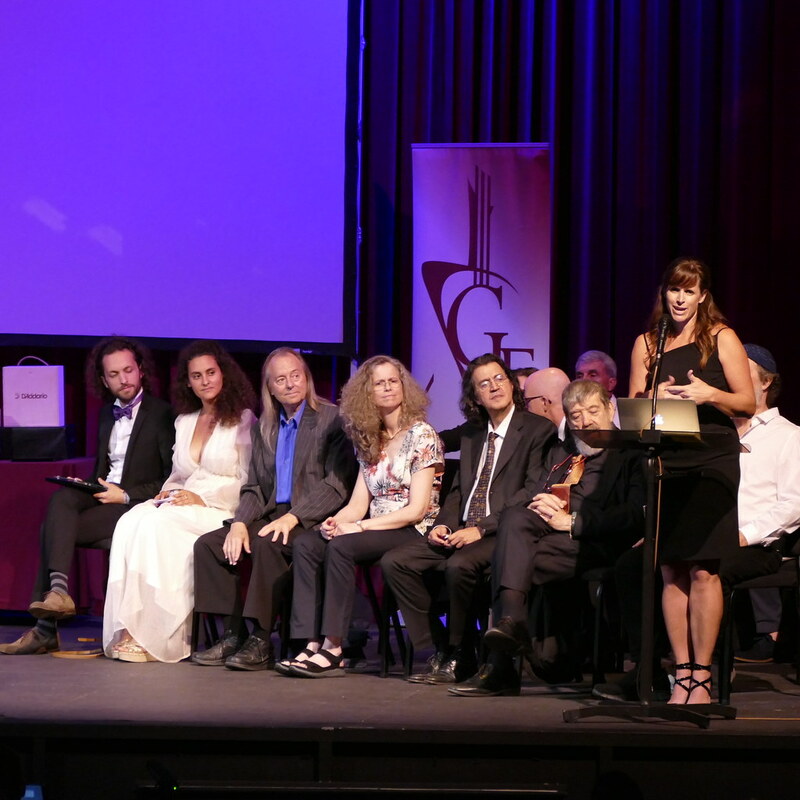 Last but not least, GFA President Martha Masters announced the winners of the International Concert Artist Competition. Congratulations to all of them! The 2017 Convention ended with the After Hours in Oggi’s. See you at the 2018 GFA Convention! The fifth day morning of the convention started off with a lecture by Mark Salmon on Creative Processes in Classical Guitar and the Visual Arts: A Comparative Analysis. Another lecture was Matthew Bishop’s The Weiss/Bach Sonata. There was also a technique workshop hosted by Jan Depreter. At the mean time, the International Ensemble Competition (IEC) Youth Division took place at the Arena theatre. The jurors are Michal Stanikowski, Matt Greif, Lydia Bach, Jack Sanders and Jason Yoshia. At 11 o’clock, a morning concert was given by Tal Hurwitz and Marija Temo. Tal played a program of Tarrega, Bach, Regondi and Dyens while Marija played a combination of different styles of music including Flamenco, Classical, Flamenco Guitar and Vocal with compositions written or arranged by her. 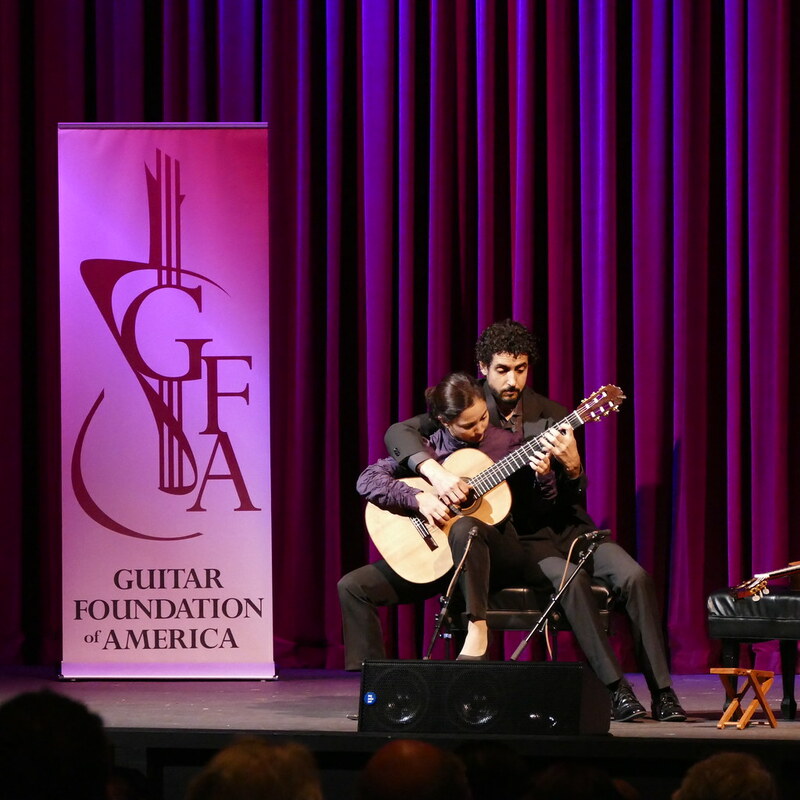 Shortly after, a masterclass was given by Alvaro Pierri in the Recital Hall and a lecture was given by Richard Savino with the topic Towards a “Classic” Guitar followed by Joshua Pierce’s lecture Spanish Influence on the Guitar and its Repertoire in the United States During the Antebellum Era. The Guitar Orchestra had its final rehearsal leaded by Zoran Dukic in Young Theater before the performance tomorrow. The Crazy Nails (Gaëlle Solal and Boris Gaquerel) gave an energetic and fabulous afternoon concert in the Little Theatre. The Slient Auction took place after the concert until 8pm at the Grand Foyer. Are you interested in having brunch with Bill Kanengiser or a dinner with David & Maria Russell? SoloDuo concluded the day with a fantastic concert featuring Scarlatti, Janáček , Rodrigo, Debussy and Beethoven. They gave an encore on period instruments, the Baroque guitar and the archlute. Augustine Strings provided the Augustine Reception at the Summit House for the after hours. Everyone had a great time there! 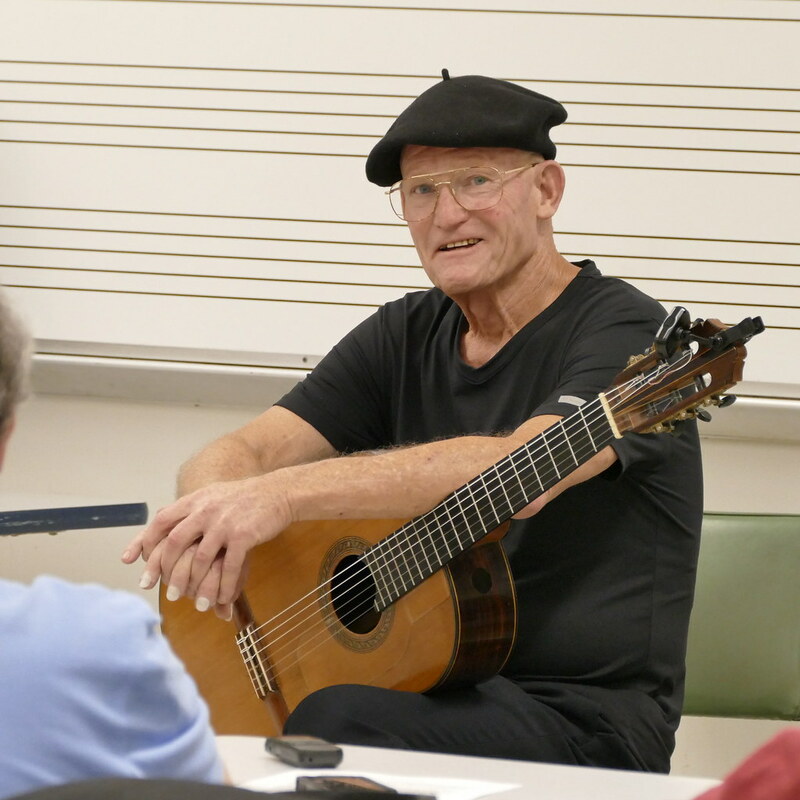 The fourth day of the convention began with a technique workshop by William Kanengiser and a lecture with Bill Swick entitled Guitar Education: A Look at the Past Fifty Years. The ICAC Semi-final then began at 10 am and continued throughout the afternoon. The GFA Research Round Table, covering topics from Integrating the GFA Archive with IGRA (International Guitar Research Archive), the Maurice Summerfield Archive at the IGRC (International Guitar Research Center) at University of Surrey, UK and Classical Guitar Music in Printed Collection. The discussion was moderated by Thomas Heck. In the afternoon Gaëlle Solal held a Masterclass in the recital hall. 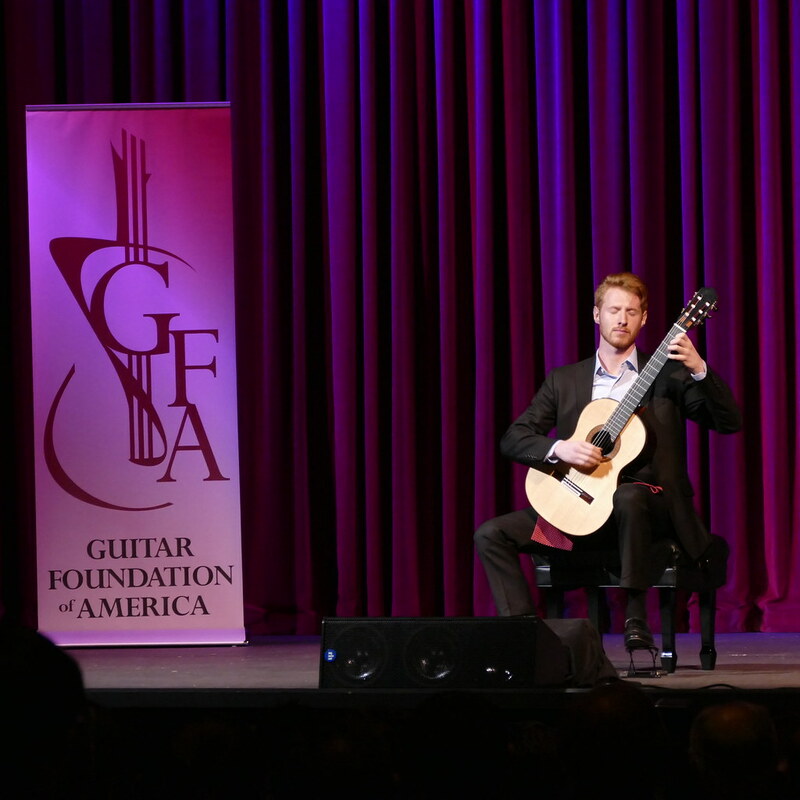 Jack Sanders and Jason Yoshida gave a lecture featuring introductory approaches that the classical guitarist might use in learning to play vihuela, baroque guitar and theorbo. The 1st IEC Adult Division began at 1:30pm in the Arena Theatre. The jurors were Oscar Ghiglia, William Kanengiser, Christina Singer, Andrew York and Doug Rubio. After that, Jan Depreter played a afternoon concert with a program featuring Bellinati, Bach, Coeck, Walton and his own compositions at the Little Theatre. The Guitar Orchestra had its rehearsal at 5:30pm under the coaching of Zoran Dukic. The Youth Social brought the young guitarists at the convention together with Xavier Jara and Lynn McGrath sharing their guitar career experience. The evening concert for the fourth day of the convention was Alvaro Pierri. His program was changed completely. It consisted of Milano, Paganini, Sor, Ponce, Albéniz and Torroba. 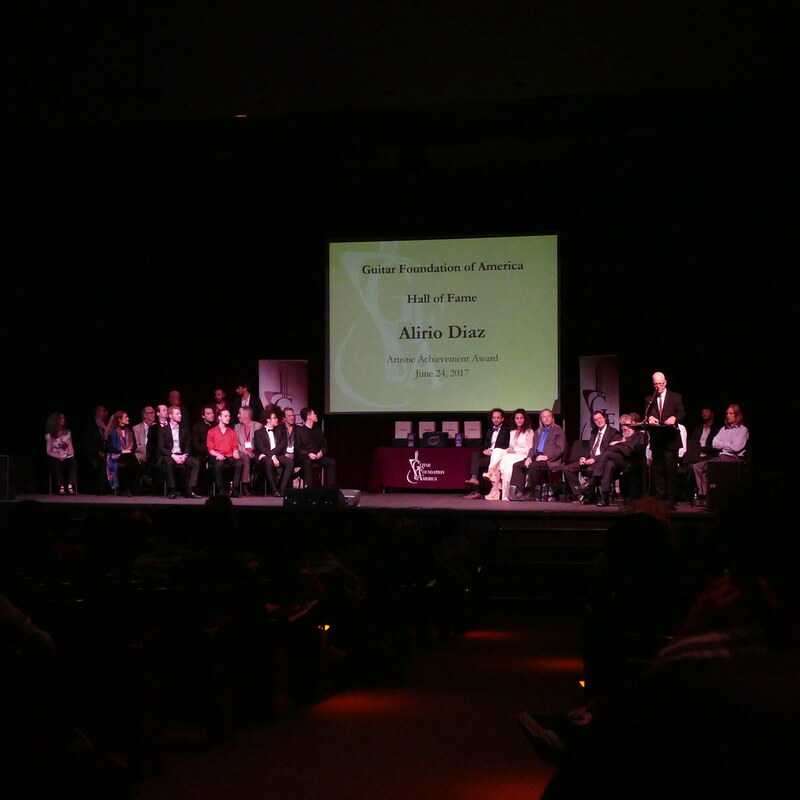 During the intermission of the concert GFA’s President Martha Masters announced the ICAC Finalists. They will perform on Saturday! 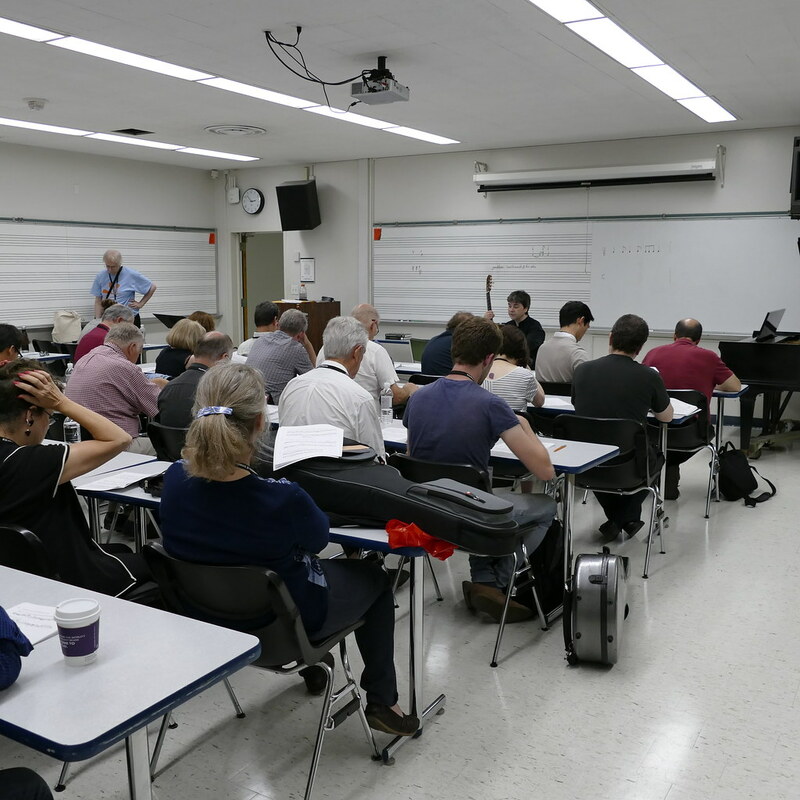 The third day of the convention began with Robert Trent’s lecture Extended Techniques in 20th & 21st Century Solo American Repertoire and a technique workshop with Lorenzo Micheli. The ICAC preliminary round continued with Jurors including Jan Depreter, Tal Hurwitz, Jack Sanders, Marija Temo and Jeff Cogan. 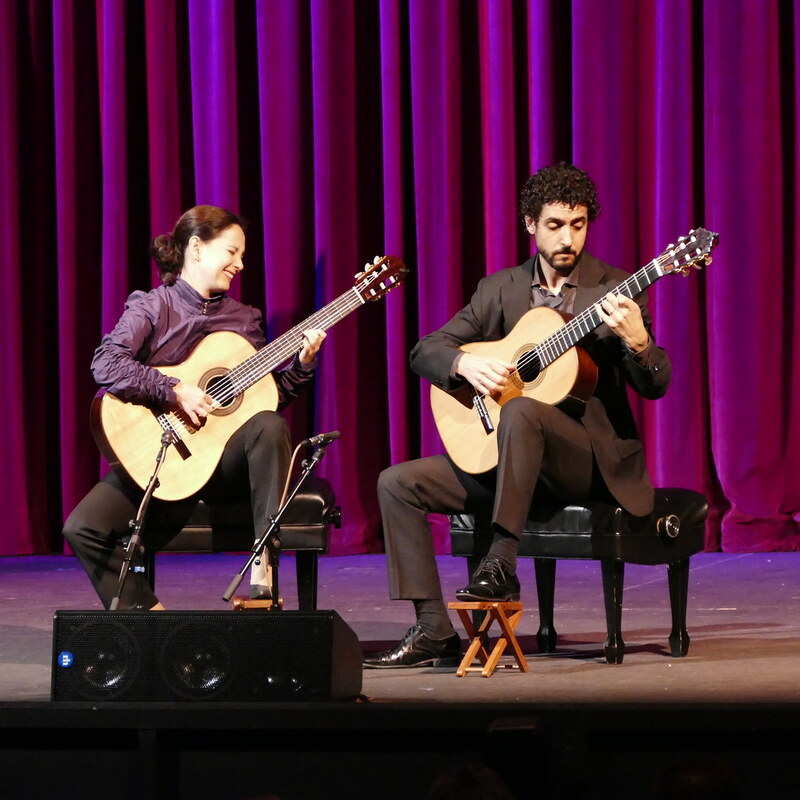 Shortly after, Martha Masters gave a lecture with the topic Expanding Our Reach Through an Integrated Approach to Beginning Classroom Guitar and there was a Luthier Showcase in the recital hall featuring Xavier Jara and Matthew Greif. Augustin Wiedemann and Otto Tolonen shared a morning concert in the Little Theatre featuring composers including Barrios, Sainz de la Maza, Dyens, Henze, Regondi, Company and Piazzolla. In the early afternoon, Jan de Kloe gave a lecture about The Correspondence between Ernesta Lindenthal and Vahdah Olcott Bickford. Chuck Hilihan rehearsed with the Youth Guitar Orchestra in the Young Theatre preparing for the performance later the day. 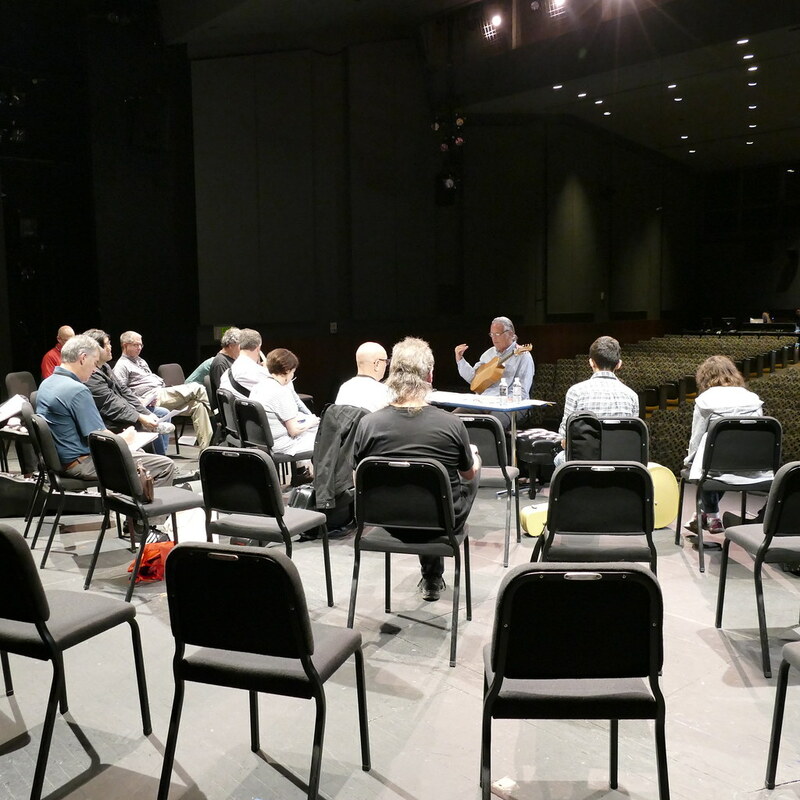 Robert Barto gave an afternoon concert in the Little Theatre on period instruments: vihuela and baroque lute. 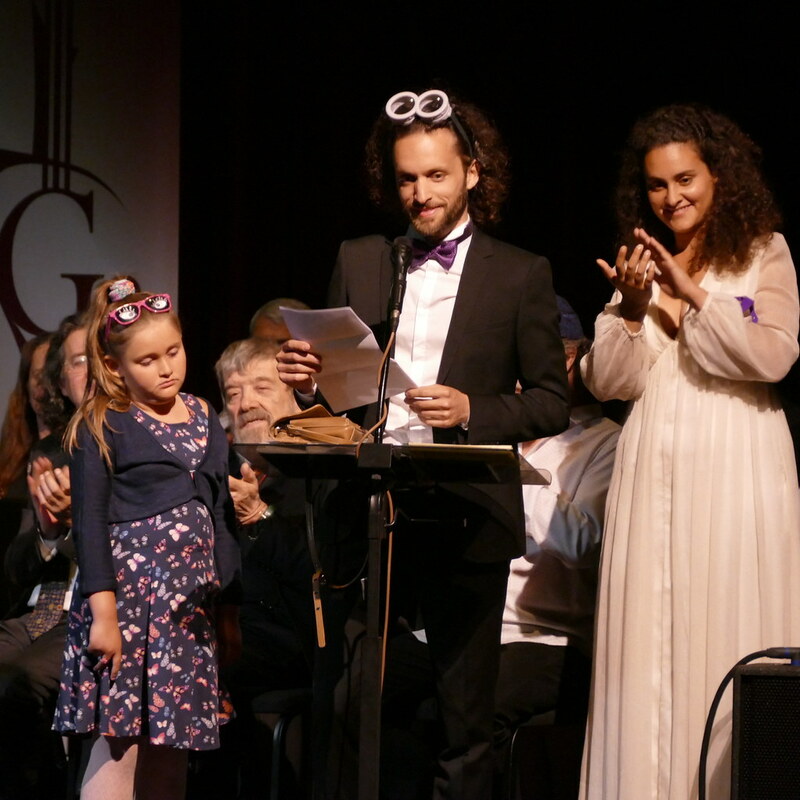 His program included Milan and Weiss and the concert was a great success with a standing ovation! The Guitar Orchestra had its first rehearsal today getting the piece Boléro by Ravel, which was arranged by Roland Dyens, ready for Saturday’s concert. At the same time in the soccer field, the GFA Soccer Game was held. It was a great time and a lot of fun! 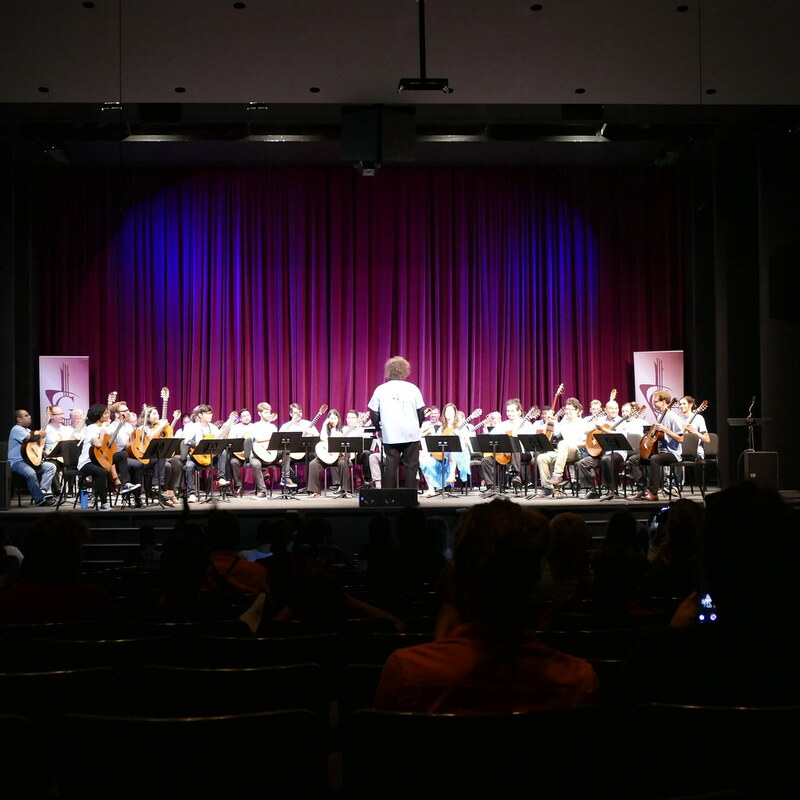 At night, the Youth Guitar Orchestra had its performance under the baton of Chuck Hulihan playing the piece Around the World written by Patrick Roux. After that, Jérémy Jouve gave a sensational concert with repertoires written by Mompou, Rodrigo, Tedesco and Duplessy. He dedicated an encore to Dyens by playing the piece, The Moon Represents My Heart, after a long standing ovation. This piece is an arrangement made by Dyens on a famous Chinese tune. The Semi-Finalists for the International Concert Artist Competition were announced at the intermission by Martha Masters and they will perform starting at 10am tomorrow! The day was concluded with the wonderful Savarez Reception sponsored by Bernard Maillot at the Fullerton Marriott Ballroom! The first full day at GFA got off to a busy start with a technique by workshop flamenco classical hybrid Marija Temo and a lecture by Michael Quantz. 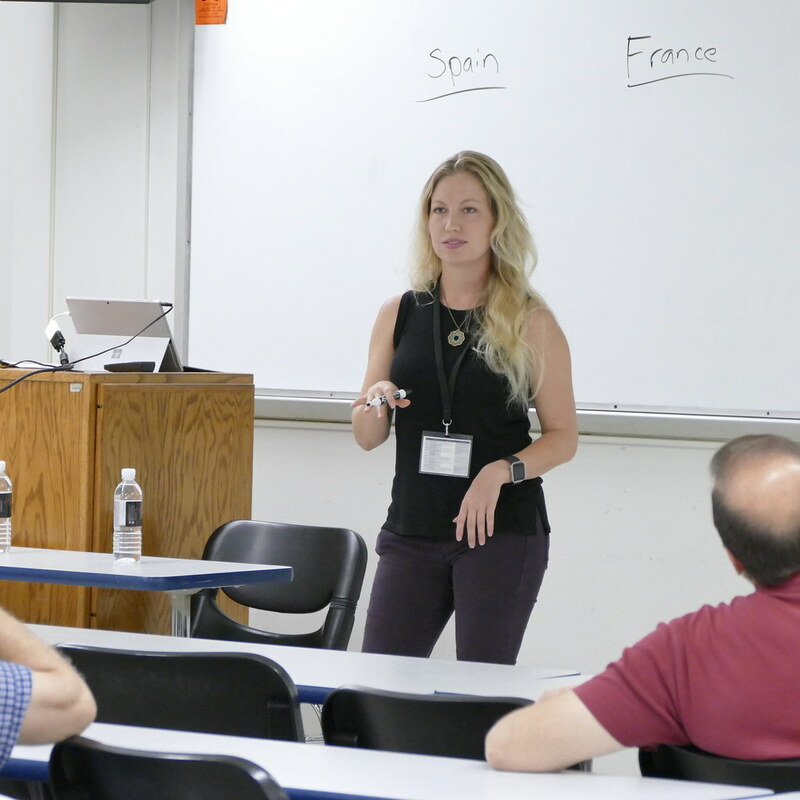 The Lecture focused on Quantz’s experience of using digital tools in private lessons for university students. After our hands and minds were warm and ready to go, there were two successive morning performances. The audience was treated to Rene Izquierdo followed by The Pasieczny/Stanikowski Duo Project. The juxtaposition of these two allowed one to enjoy their performances. Rene Izquierdo exhibited mastery in his performance. The control of the Scarlatti and Bach was a real treat for the audience. The virtuosity brought fluidity to the pieces. This was really appreciated during the Cuban song, Quajira a mi Madre by Nico Rojas. It was great to hear Izquierdo perform this piece in contrast to other greats like Joaquin Clerch and Marco Tamayo. A highlight that must be noted was an encore, Izquierdo’s arrangement of Claude Debussy’s Arabesque Number 1. One would hope that the next time you hear Rene Izquierdo play, he plays this encore. This was one of the day’s highlights. The Pasieczny/Stanikowski Duo Project provided a program of contemporary music arrranged and composed by Marek Pasieczny. 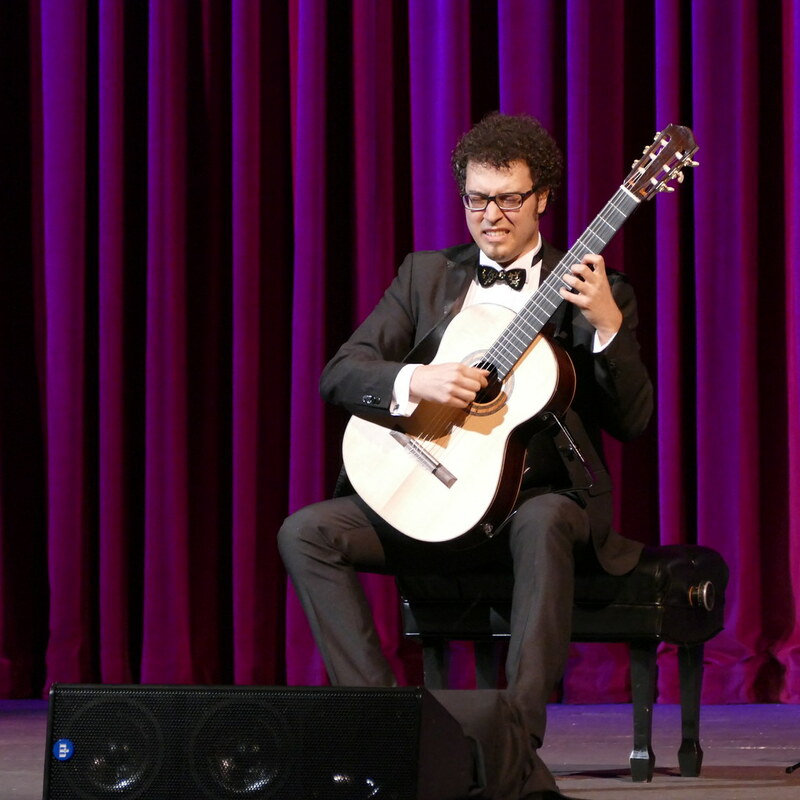 One may be familiar with his work omage to Alexandre Tansman for solo guitar or his arrangement of Arvo Part’s Variations for the Healing of Arinushka for two guitars. Hearing these compositions was not only refreshing, but also illuminating to Pasieczny’s compositional style. The Sakura No Hana Variations, based on a Japanese coto melody, modeled tasteful compositional use of extended techniques. The duo displayed impressive synchronicity and range of moods introducing these compositions to the audience. 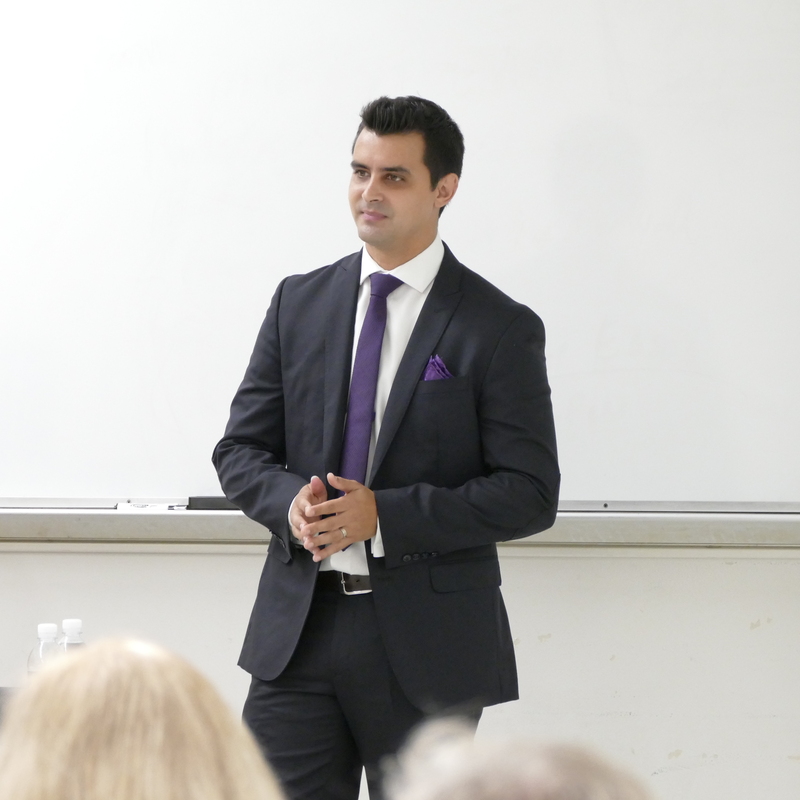 Maestro Oscar Ghilglia taught in a masterclass and proceeded to cast pearls of wisdom to all who were willing recipients. The first performer, Giulia Ballare, played Toru Takemitsu’s Equinox. She adapted to his instructions without hesitation or pause. Ghilglia stressed the importance of sulfege and respecting the integrity of the piece. Each correction was accompanied by a quirky yet insightful anecdote. The audience could not help but be captivated and delighted by TrioConBrio’s performance. One could hear that they have were a seasoned ensemble. The trio played composers Leo Brouwer, David Bobcock, Sergio Assad, and Ray Sandoval who composed and dedicated the work played. The character of the trio could be described covering the spectrum of playful, bold, and evocative. William Kannengiser treated the audience to a tour of musical variance that he performed so well, that one may believe that these pieces reflect different elements of his quirky personality. Style, rhythm, and cultural variance were the programs highlights. He played works by Joaquin Turina, Fernando Sor, Dusan Bogdanovic, Oliver Hunt, Ian Krouse, Bryan Johanson, and Brian Head. The first half was virtuosic standard guitar repertoire and the second half was contemporary music chiefly based off of folk elements. In the fist half of the program, Kannengiser played with playful nature that permeated throughout Fantasie Elegiaque which was a great contrast from the bravado of Sevillana. Second half highlights include the beautiful Magic Serenade by Johanson, Three African Sketches by Bogdanovic, and Brookland Boogie by Brian Head. What was also notable was Kannengiser’s acknowledgements. 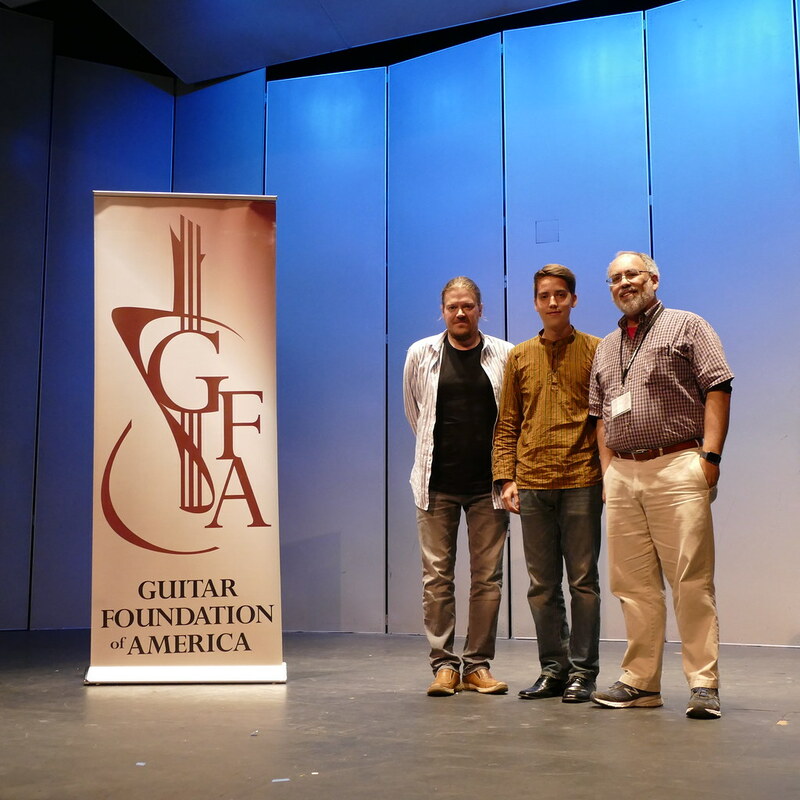 He is a great story teller and not only gave special insights into the music, but made sure to thank GFA organizers, volunteers, and gave Brian Head an extra special shout out for all his work. As an encore, he played a beautiful Paraguayan melody capping off his outstanding and diverse program.